A Transformed Man details an astonishingly prolific man with unbridled passion as an actor, writer and director with a zeal for mystical life. Why was this an important book for you to write? I have always been interested in personal transformation and how a person’s beliefs influence their actions. After working with Shatner, I realized what an amazingly energetic and prolific man he was. As his career progress, he was always very open and public with his beliefs and feelings. For me, he was the perfect research subject the perfect example of a transformed man. This biography is very detailed. What kind of research did you do to ensure accuracy of the subject? I interviewed people who knew him personally, including the cast and crew of Star Trek, and researched hundreds of public sources and media. Then, I organized everything chronologically, and published a thousand annotated credits of his acting career in a book in the Greenwood Press Performing Arts series called William Shatner: A Bio-Bibliography. That made it much easier to compose an in-depth biography of him that was concise and accurate. What is one thing that surprises you the most about William Shatner? His passion for life. He is totally engaged in everything he does. People have no idea how perceptive and sensitive he is. He is also an athletic guy, who stays very active even at the age of 87. What is the next book that you are writing and when will it be available? I am working on a biography of the Elizabethan alchemist Dr. John Dee that focuses on his mathematical and scientific contributions. 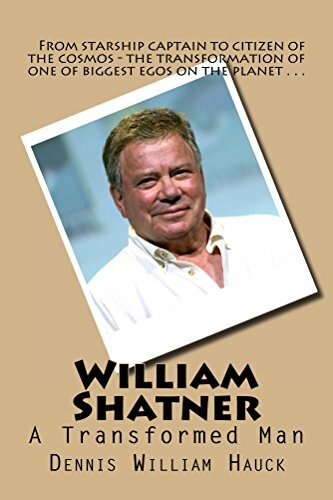 This biography of William Shatner adds some surprises beyond the all the stories of his eccentric behavior. It reveals what really makes the man tick. The author has done his footwork, talking to all the cast and crew and sifting through sixty years of archives, and he has come up with many amazing insights, including the shocking source of the Star Trek franchise. This is a moving portrait of a fascinating man, an in-depth and often unsettling biography of a modern icon. This is a book for people who don’t give a damn about Star Trek. 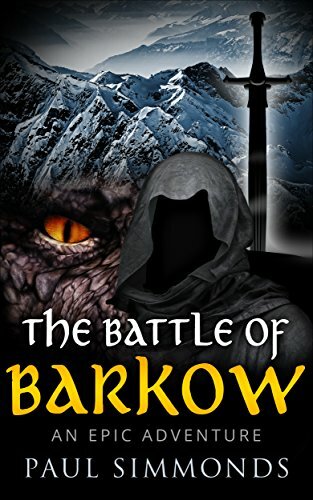 The Battle of Barkow tells the tale of dark vs light, good vs evil, from a world where magic is not all bad, and religion is not all good. 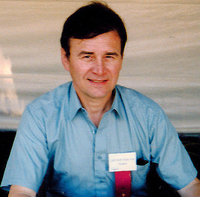 He takes readers into the mind of his characters and through them shows the good and bad of society. In the words of Paul Simmonds, “Two men will embark on a journey that will change their lives forever, if there is a forever at all. For in the world that they live it is not named nor is it entirely different from that of our own early world” (Simmonds: prologue). The characters are intricate and plagued by the same assemblage of emotions as any other person; kindness, compassion, greed, hate, bigotry and evil. This superb confluence leaves you wondering who is going to come out on top in this novel, the simple man of God, the magician, the girl that doesn’t speak, or the dark forces that are mounting? The story starts out with a man, hidden in a cloak speaking with an elderly woman. No names are used, but it is clear the women is a sorceress and he is there for her assistance. He is angry, he feels he has been wronged by others and denied his rightful riches and power, this woman offers him the vengeance he so greatly desires, but warns the price he will pay will be high. While she does not disclose the price, it is implying that it will not be all together pleasant for the man, but he hesitantly agrees desiring his vengeance over all else. From here the story jumps 125 years later. We meet Bolan, a simple man of God. He takes no excessive pride in his status and simply ponders life as it comes, he does not dwell too much on the past or the future. He agrees to take on an assignment for the church delivering holy books to the neighboring towns. With him goes his longtime friend and magician in training Hogarth. Hogarth can do simple magic but longs to learn more, to become something great in world that will make a difference. It is on this journey that they meet Sterre, the young women that does not speak but communicates in a form of sign language and drawings. Sterre has the gift of visions and has predicted a great danger to the city of Barkow. Barkow is the capital of sorts for this world, it is where the Pope lives and where all their laws begin. Towns outside of Barkow are not as strict as in the holy city. Bolan, Hogarth and Sterre travel to the city of Barkow to warm them of the impending trouble that Sterre has foreseen. While they are traveling to the city, the dark forces are also headed there as well. They have no names to start, as readers we only see their evil and destruction, wiping towns out, stripping them of all life leaving no one alive to bear witness to what has happened. The journey that these three take brings them in contact with many others, some are willing to help fully, others offer veiled advice. Some are strong war heroes that have their own battles to fight but ultimately must decide between their own personal gains or the greater good. We are left looking at a vast cross section of people whose characteristics could be anyone in modern society. In The Battle of Barkow Simmonds is able to show us that their may be darkness in us, but being good is a choice, and often times we fall somewhere in between. 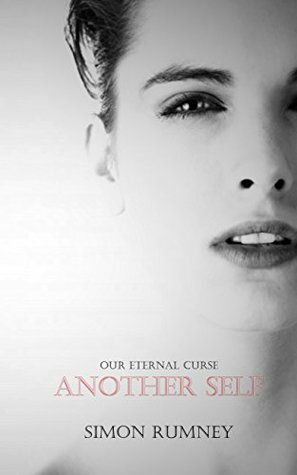 Another Self throws us into the life of a girl who has been broken of all spirit and self-esteem, and we’ve very often reminded of that. Perhaps that is why this extremely strange story catapults us through Ancient Rome and how this one damaged girl manages to take it all down with her. While the beginning of the story is a bit confusing, especially when you have no idea why everyone wants to kill this poor girl for, the middle of the book catapults you through this insane spider-web of lies, deceit and pure financial carnage. If you ever wanted lessons on how to overthrow a government, destroy a black market and basically scare the daylights out of a houseful of poor slaves, Julia is your teacher. Though thoroughly damaged, she manages to corrupt all of Rome and herself at the same time. Did I mention that she was pretty mentally damaged? In all honestly, the game she plays is fairly amazing. Outside of her time wallowing in a glass of wine or gazing lovingly at a piece of jewelry she doesn’t own, Julia turns out to be an incredible sponge of knowledge which helps her to become the guru of all things dirty and deceitful in the underbelly of Rome. Like a string of Cash and Loan stores, Julia becomes the wealthiest person in all of Rome, and very few people know that she is the one to do it. She strings up her victims in little chains of events that will make your head spin, and at some point, have you cheering for her until it all comes crashing down. If the beginning didn’t exist, and the ending didn’t punch you in the face with unanswered questions and situations, the middle of the book would be an amazing tale of a poor unwilling slave girl who became the most powerful person in an ancient civilization. The sheer width of power that she gained from one well thought out plan and the manipulation of a powerful force who’s heart she stole, it needs to be read and admired. Take notes, as it can show that if you put your mind to it, as damaged as that might be, you can achieve anything. Even if you have an incredibly damaged mind from years of mental and physical abuse. Just pointing out how often you must remember that she’s mentally damaged, as the author will remind you just as frequently. Ignoring that fact, reading about how a city can be overtaken by any mentally equipped individual was a fun ride. Though a lot of people were hurt for it, watching someone get revenge from those that hurt them is very satisfying as well. Hopefully a lot of questions will be answered as you travel through the series and through time with Julia’s character. She seems to gain a new life every time her old one ends, and hopefully this book can do that as well. Let’s go Julia, on to your next adventure.